I am still, by the grace of God, on my feet among the dead and dying. Everyone at my side has been striken, and of the many ministers of the Lord who have accompanied me, I have only one remaining. My household itself has fallen victim; eleven have died and five are still ill, though out of danger....The plague had been in Marseilles for three months and still showed no sign of abating. What horrors have I not seen or heard? For eight whole days two hundred corpses rotted around my house and under my windows! I was obliged to walk in streets flanked on both sides by half-rotten, dog-chewed bodies, with so much plague-ridden debris and filth underfoot that it was impossible to know where to tread. I was forced, with a vinegar-soaked sponge over my nose and my soutane hitched up, to clamber among the corpses to seek out, and offer confession and consolation to the dying who had been thrown out of their houses and abandoned on mattresses among the dead. The piles of dogs and cats that had been killed and left to rot added to the unbearable stench. Ah! Monseigneur, what moments of bitterness and despair have I not suffered? ; how terrible it is to be in such a situation! 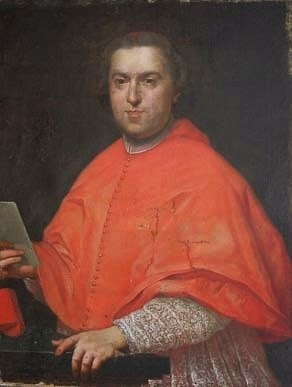 The Plague transformed Henri François-Xavier de Belsunce de Castelmoron, the prickly and intolerant bishop of Marseilles, into a popular hero. In times of danger the chief pastor of a diocese was expected to share the risks of his flock, and Belsunce rose amply to the challenge. At the end of July, when the well-to-do had long since fled to their country retreats and the parlement of Aix ordered the city gates closed, the bishop refused steadfastly to abandon Marseilles. Churches were closed but Belsunce held improvised services in the open air. He went out daily among the dead and dying with three confessors and his household staff, giving alms and organizing the administration of the last rites. Almost every day, the bishop lost one of his confessors; when forty had died, he feared that he himself might perish without the sacraments. Among several edifying episodes is one in which he personally came to the succor of an old man whose suppurating buboes had glued his head to the wall [in Martin, Histoire de la peste (1721) p.85]. On 14th September the bishop had to move to the mansion of the chief échevin, since it was impossible to get in and out of his palace without clambering over rotting bodies half-eaten by dogs. He did not use his carriage: the only time he rode anywhere, it was said, was when he sat beside the drivers of carts carrying corpses to the burial pits. The resonance of Belsunce's example derived not just from his personal courage, but from his message of corporate penance, which cut across all class barriers. 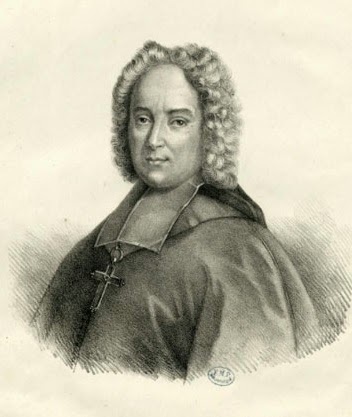 In 18th-century France, serious pastoral vocations among the higher clergy were often associated with Jansenism but not so with Belsunce, who aligned himself strongly with the “dévot” party among the bishops. From Protestant origins, Belsunce had been educated by the Jesuits of Louis-le-grand and embraced the Jesuit vision of active baroque piety, strongly characterised by public manifestations of faith. In particular he supported their sponsorship of the cult of Sacred Heart, associated in Marseilles with the Visitandine nun Anne-Madeleine Rémuzat. Both vivid, not to say viscereal, in its imagery and strongly communal; the Sacred Heart aimed at a national cult as manifestation of collective Grace. 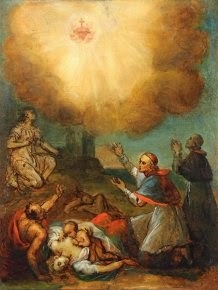 In March 1718 he had already created a diocesan Association for the perpetual adoration of the Sacret Heart. Marseilles in the plague became a microcosm of France; the plague a metaphor for spiritual sickness, to be met with strong coherent message of penitence. In emulation of St. Charles Borromeo, Belsunce sought to embody the collective penance of the city in his own person, and staged a series of theatrical public manifestations. On All Saint's Day, 1st November, with half the inhabitants dead, the plague was abating rapidly, and the bishop walked barefoot - in garb of a penitent - to the church of Saint-Férriol and preached; on 31st December (as remembered by Chateaubriand) he processed round the ramparts overlooking the desolate city. On 20th June 1721, the Feast of the Sacred Heart, he presided over a huge open-air service of thanks before a massive open-air reposoir on the quayside where Marseilles meets the sea. Finally in 1722, the recurrence of plague afforded the opportunity for Belsunce's culminating gesture, committing the échevins to annual public affirmation of the city's perpetual dedication to the Sacred Heart - a tradition interrupted by the Revolution but reinstated in modified form by the municipality in 1877. Belsunce was accused by his enemies of self-conscious heroics but he refused offers of more prestigious sees - Laon in 1723 and Bordeaux in 1729 - and remained in Marseilles until his death in 1755. John McManners,Church and Society in Eighteenth-Century France vol. 1(1998) p.291-2. Paul Gaffarel and Mis.de Duranty, La peste de 1720 à Marseille et en France, d'après des documents inédits (Paris 1911). This portrait from the Musée Henri-Martin, Cahors has recently been uploaded to Wikimedia, which means it will soon be the generally accepted image of Mgr. de Belsunce. It certainly looks like the same man as in the prints. I'm a bit confused though; I don't think Belsunce was ever made a Cardinal.